The new Grey Moontex thermal memory pillow combines the properties of viscoelastic foam with a special ecological insert able to improve the quality of sleep. What is more, the Grey thermal pillow adapts perfectly to the shapes it has to support, favouring utmost relaxation and active health protection. The special Health Protection insert, typical of the pillow, contains PCM (Phase Change Material) microspheres which absorb heat. These microspheres are able to create a constant micro-climate and convey a feeling of coolness to all the parts of the body that come into contact with the pillow. 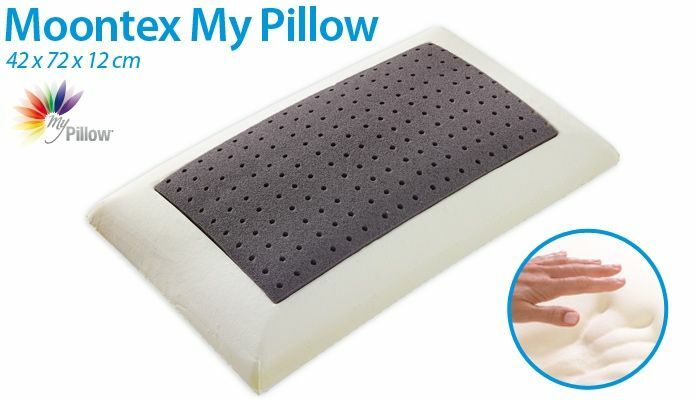 What is more, the pillow’s exclusive Health Protection material prevents the formation of mites, bacteria and fungi, which are the main causes of allergies.